Pawan Kalyan formed Jana Sena on the eve of 2014 elections but he or his party did not contest. Pawan Kalyan on Monday announced that he will become fully active in politics from October. 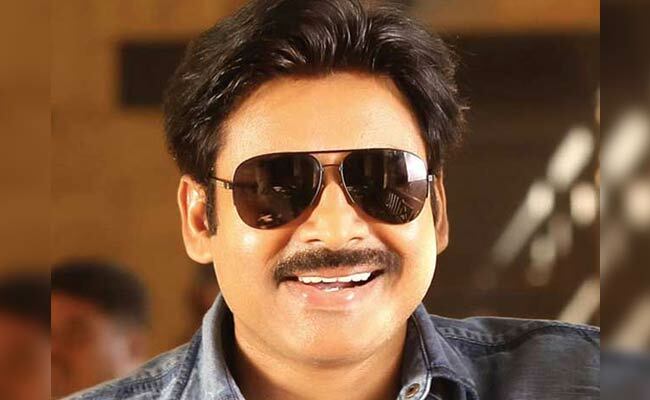 Vijayawada: Popular Telugu film actor and Jana Sena party chief Pawan Kalyan on Monday announced that he will become fully active in politics from October. He said he would devote more time to politics from October as he would have by then completed the movies already committed. He said politics would be his first priority as he believes that people can be better served through politics. Adressing a news conference after meeting Andhra Pradesh Chief Minister N Chandrababu Naidu over the problem of high prevalence of kidney-related ailments in Uddanam region of Srikakulam district, he said that Jana Sena was in the process of building the organization in both Andhra Pradesh and Telangana. While the process is almost completed in Telangana, two to three districts are remaining in Andhra Pradesh, he added. On the strength of Jana Sena, he said this would be known once he goes out amidst people. Stating that political parties have their own strength in Andhra Pradesh, he remarked that he would be happy even if his impact is two per cent. The actor said he would draw specific plans to go amidst the people and know their problems, but however admitted that taking out a 'padyatra' (walkathon) would be difficult for him and could lead to law and order problems. Pawan Kalyan, younger brother of superstar and Congress leader K Chiranjeevi, evaded direct reply when asked if he would join hands with opposition YSR Congress Party or sail with the ruling Telugu Desam Party-Bharatiya Janata Party combine which he supported in 2014. The actor made it clear that he doesn't have a hidden agenda. He said he supported the TDP-BJP alliance in the last elections on some issues. The actor, who had been slamming BJP for last few months for going back on its promise for special status to Andhra Pradesh and also targeting TDP for failing to put pressure on BJP, appeared to have softened his stand. He, however, denied that he has given up his struggle over the issue. He said he would chalk out a plan as to how to highlight the issue and take it to the notice of the Central government. Pawan Kalyan said both TDP and YSR Congress had stated that they have their own compulsions in pressing the issue of special status. On the issue of reservation for Kapus, a caste he comes from, Pawan Kalyan said this was a sensitive matter and need to be handled carefully. Recalling that TDP had made the promise to provide quota, he said the issue should be resolved through talks to ensure that backward classes were compensated for any loss on account of providing reservation to Kapus. Pawan Kalyan formed Jana Sena on the eve of 2014 elections but he or his party did not contest. Instead, the actor campaigned for the TDP-BJP alliance. Last year, he announced that Jana Sena will contest the elections in both Telugu states.